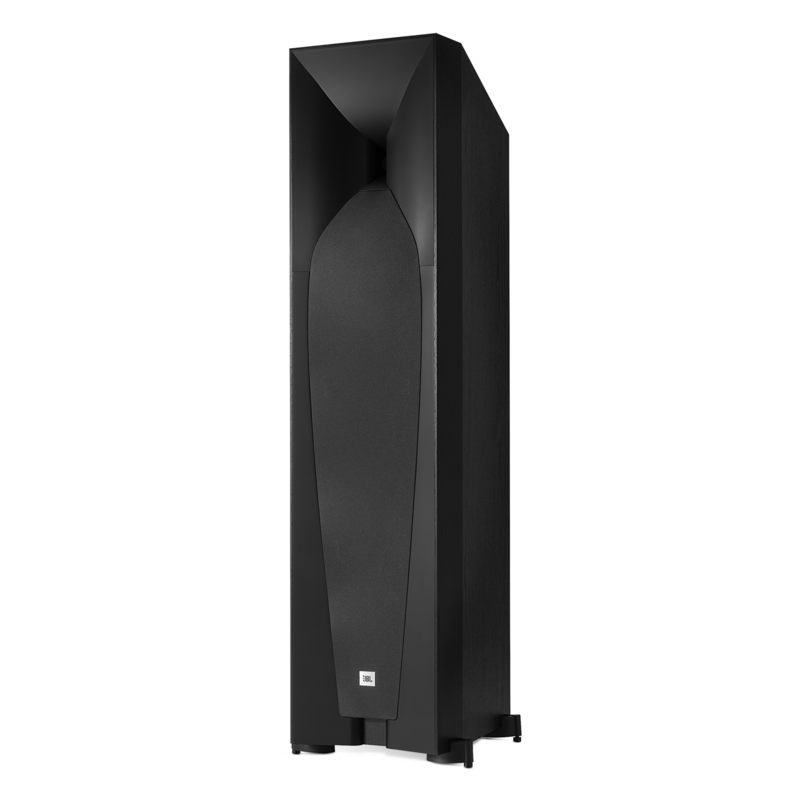 JBL engineers have designed the Studio 580 floorstanding loudspeaker to deliver robust, enveloping sound from a compatible AVR (audio/video receiver) or 25- to 200-watt power amplifier, whether you are using the Studio 580 as a stand-alone unit or as part of a surround-sound system. Powerful bass affects more than just your ears. It resonates through your entire body, creating a soundscape that you can feel as well as hear. 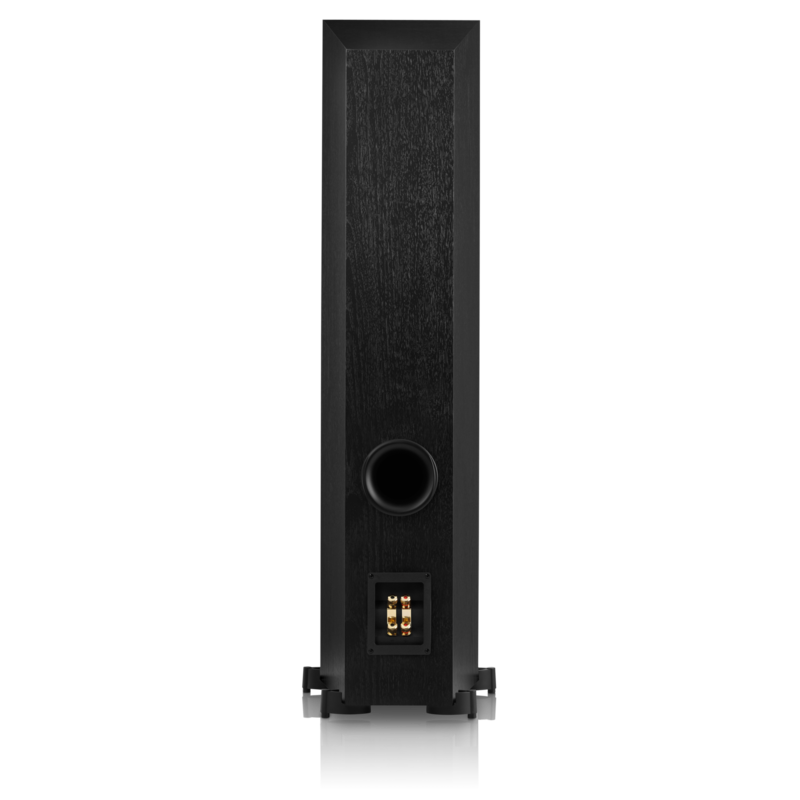 The JBL Studio 580 floorstanding loudspeaker delivers accurate low-frequency sounds from a pair of 6-1/2-inch (165-millimeter) ribbed PolyPlas woofers. The ribs improve strength while reducing distortion. The result is rich, powerful, articulate bass. Thanks to a heavy-duty magnet Symmetrical Field Geometry (SFG) assembly, the JBL Studio 580 floorstanding loudspeaker’s pair of low-frequency woofers delivers highly focused bass. The result is pristine, articulate sound that create an added sense of ambience. 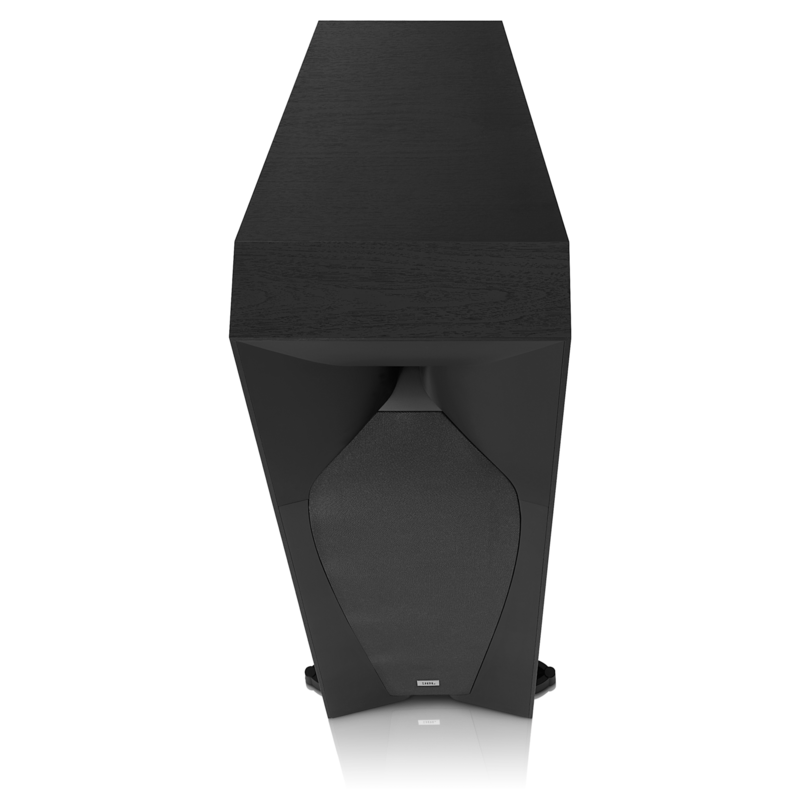 The JBL Studio 580 floorstanding loudspeaker’s high-frequency compression driver lowers distortion and provides a wider dynamic range than is possible from conventional high-frequency and midrange drivers. The tweeter comprises a one-piece Teonex® diaphragm/surround assembly fitted with a 1-inch (25-millimeter) voice coil that can deliver enhanced vocal articulation. Horn-shaped loudspeaker designs optimize high-frequency output by directing the sound to the listener with pinpoint accuracy, thereby eliminating reverberation, reflections off walls, and other artifacts. The Studio 580 floorstanding loudspeaker features a glass-filled ABS Bi-Radial high-frequency horn that delivers professional-level sound to your home. 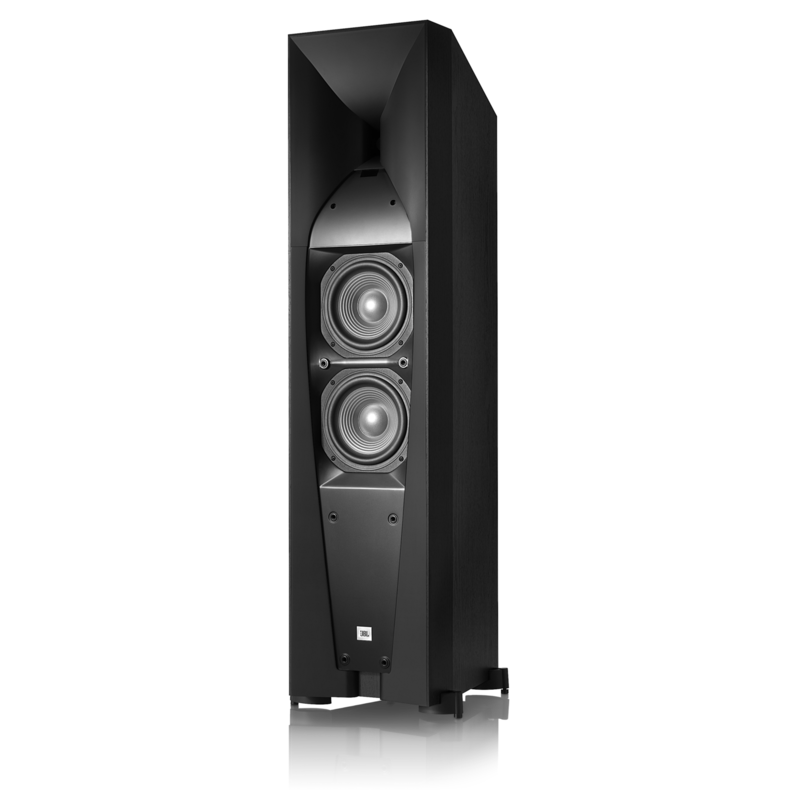 The Studio 580 floorstanding loudspeaker’s low-loss, two-way crossover network ensures a clean transition for sound coming from individual low-frequency and high-frequency drivers, thereby reducing distortion while improving clarity. The Studio 580 floorstanding loudspeaker will work with multiple power amplifiers or connection setups – or both – for single-wire or bi-wire operation. The result is enhanced versatility in the ways you can use the Studio 580 speaker. The Studio 580 floorstanding loudspeaker’s cabinet is built with the same attention to perfection as every other component. Rigid, heavily braced materials prevent unwanted resonances, while non-parallel surfaces eliminate sound interference. The same attention to detail that went into the Studio 580 floorstanding loudspeaker’s technical design was paid to creating a powerful, sophisticated look that will fit within even the most discerning householder’s décor. The Studio 580 is available in a black or cherry finish. 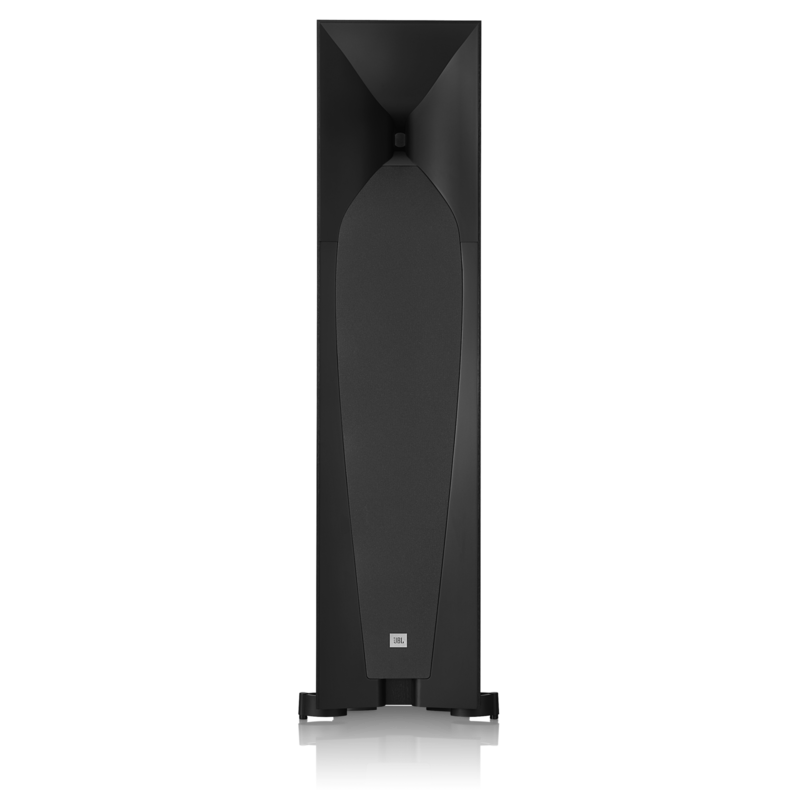 The JBL® Studio 580 floorstanding loudspeaker brings professional-quality sound to the home experience. The Studio 580 uses the technology developed for JBL pro-audio loudspeakers to deliver accurate and powerful sound to your living room. The Studio 580 speaker is a perfect complement to other members of the Studio 5 Series, including the Studio 530 bookshelf and the Studio 520C center-channel loudspeakers. The Studio 580 features a 1-inch (25-millimeter) tweeter mounted on a glass-filled Bi-Radial® horn – the technology used in JBL concert sound systems – to deliver concise, sustained high frequencies. A pair of 6-1/2-inch (165-millimeter) PolyPlas™ cones with Symmetrical Field Geometry™ (SFG) magnet assemblies handle low frequencies.